Sponsored post. All opinions are 100% our own. 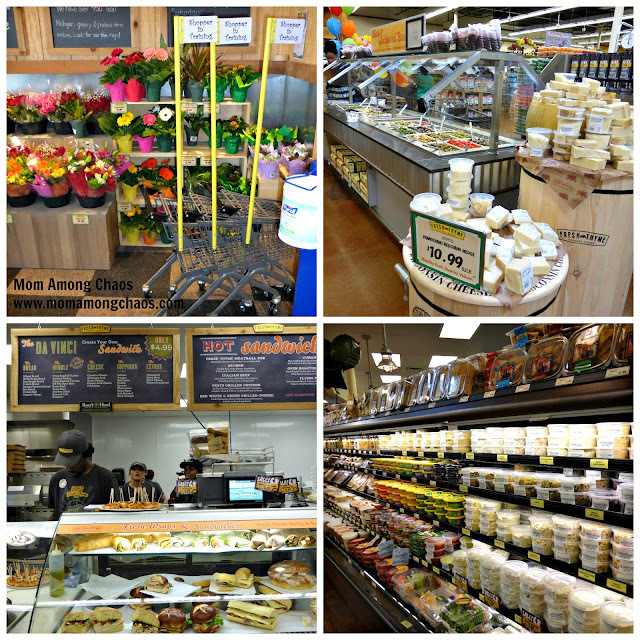 Yesterday Stephanie and I attended the Grand Opening of Fresh Thyme in Troy, MI. What is Fresh Thyme Farmers Market? It's a full-service grocery store featuring healthy, organic, and local products. The best part is that it's value priced. Fresh Thyme is new to the Metro Detroit area. The first Michigan location was opened in East Lansing and now they have proudly opened stores in Troy, Rochester Hills, and Northville. It's a health food nut's organic dream come true! Personally, I'm all about feeding my family organic foods whenever I can afford it. Fresh Thyme wants to offer its customers a special local focus. The stores carry over 450 local products. 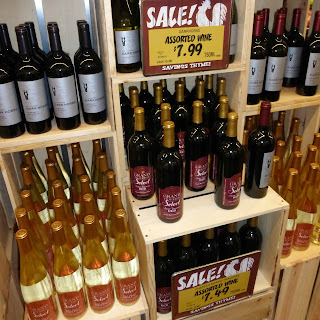 I love when stores carry local Michigan products. I love sushi! Especially fresh sushi. I love it even more when it's made to order. I purchased the chicken teriyaki sushi to have for lunch. It was really good! Fresh Thyme has a natural meat department, healthy deli foods to go, bakery goods, over 400 bins of bulk items, 170 organic produce offerings, organic and natural groceries, natural body care products, and more. Now there is no need to go to several different stores to make sure your family is getting safe, healthy foods and products. Fresh Thyme is your one-stop shop with more than you can imagine. I even came home with mint organic soap! Did someone say coffee? 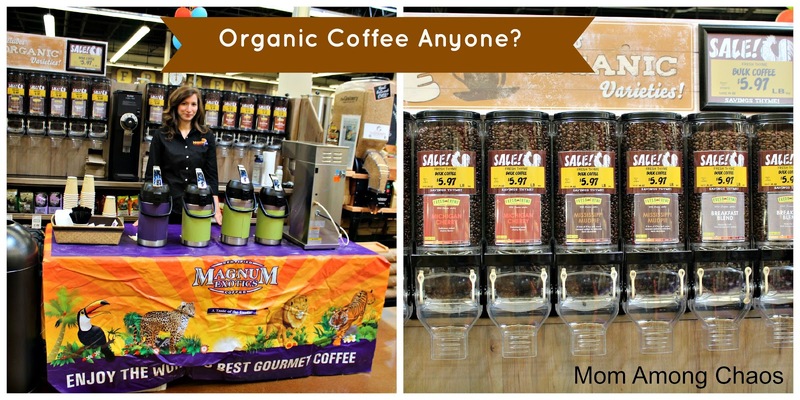 Stephanie and I had the chance to sample some yummy organic coffee. I was happily surprised to see that they sell Michigan Cherry coffee. If you like coffee make sure to take a trip to Fresh Thyme to pick up a bag! Would we recommend Fresh Thyme? Yes, we both walked out of the store with lots of yummy goodies. The closest location to me is about 20 minutes away, but it's worth the drive. Fresh Thyme is scheduled to open 60 stores by 2019. I'm hopeful that they will open one in Warren because I personally would love to grocery shop there each week. The prices were fantastic and I love feeding my family foods that are good for their bodies. Fresh Thyme is open daily from 7 am to 10 pm. Troy - 901 E. Big Beaver Rd. Rochester Hills - 2025 S. Rochester Rd. 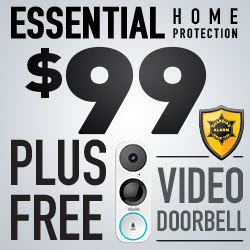 To learn more and see your local sales ad go here. 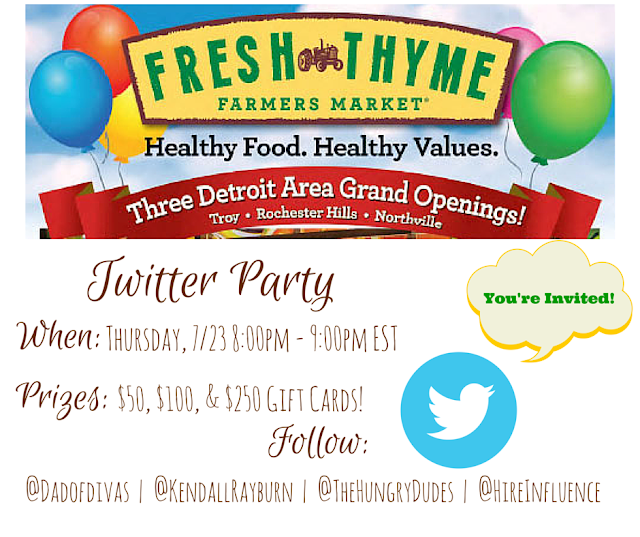 In the Detroit area, Fresh Thyme will be giving away $15,000 to local non-profits as part of their Grand Opening celebration. You're invited to join in on the Twitter Party tonight from 8-9pm!